Is Your Dent a Candidate for Paintless Dent Repair? Be sure to do your homework when choosing a Paintless Dent Repair Company to perform Medium and Large Paintless Dent Repairs. This is especially true when the damage is bigger or more complex. The last thing you want to do is have an unqualified technician try to fix your Medium and Large Dents with Paintless Dent Repair to only to have them fail. Many factors come into play when repairing more difficult damage. Extreme depth, bad access, inner structure bracing and more. 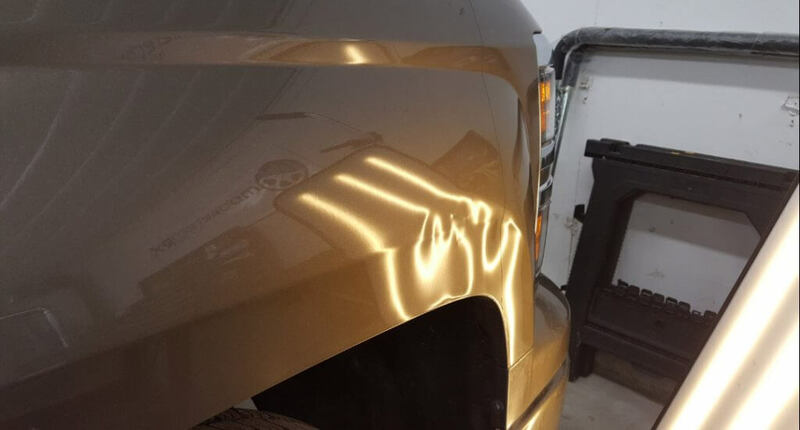 Sometimes these factors can make even smaller appearing dents extremely harder to repair. With Paintless Dent Repair you only get one shot to make it right, make that shot count! Is my dent a candidate for Paintless Dent Repair?